For all the time we spend deliberating about what type of hay to feed, or whether to add this supplement or that, the majority of horse owners tend not to spend a great deal of time thinking about the most important nutrient of all – water. Water helps maintain the healthy functioning of all the organs and systems in your horse’s body. Among many other things, it is essential to aiding digestion, regulating body temperature, eliminating toxins from the body, and lubricating the joints. The average 1000-pound horse requires a minimum of five to ten gallons (19 to 38 litres) a day to stay properly hydrated and maintain body functions. Water requirements increase with warmer weather and increased work, and are also affected by management and diet. 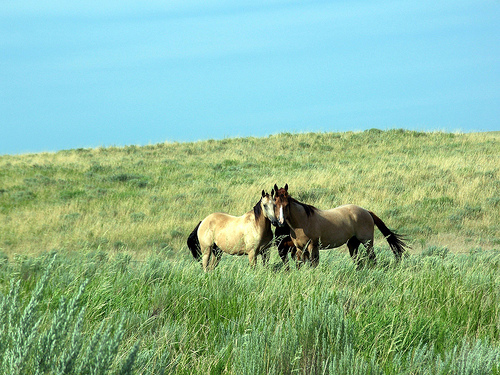 A horse that is turned out in a dry lot and fed dried forage will consume more water than a horse that is turned out on pasture, as fresh grass has a high water content. 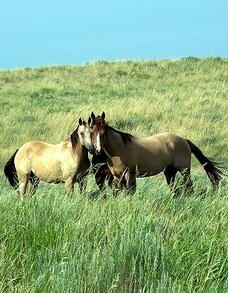 Pregnant and lactating mares also have increased water needs. Without adequate water intake, a horse can become dehydrated very quickly, and dehydration can rapidly lead to colic. Reduced water consumption is sometimes thought to be a concern exclusive to the colder winter months, but the increased traveling, temperature, and workload that accompany spring and summer can also wreak havoc on your horse’s hydration. The most effective way to prevent your horse from becoming dehydrated is to make sure he always has access to fresh, clean water, regardless of the season or weather. There are two principal ways to check if your horse is dehydrated. The “pinch test” consists of pinching the skin on the neck in front of the shoulder, then releasing it. The skin should return to normal in less than two seconds. You can also check your horse’s capillary refill time by pressing your thumb firmly against his upper gum for two seconds and timing how long it takes the pink colour to return to the area after you release. A capillary refill time of longer than two seconds is a possible indication of dehydration. If you ever suspect that your horse is dehydrated, contact your veterinarian immediately. He or she will also be able to advise you if you are concerned that your horse’s water consumption is low.